We offer services for the entire family, age 1 - 100. "Dr. Neville and staff are excellent. 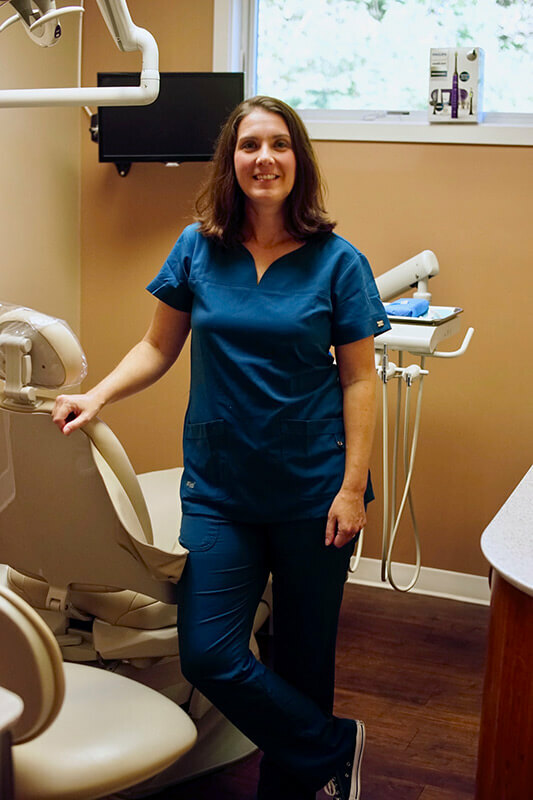 Our family fully trusts them with the treatment and counsel they give to care for our teeth. Dr. Neville is honest and trustworthy and will only suggest work being done on a tooth when it is necessary. She truly cares about the welfare of her patients." 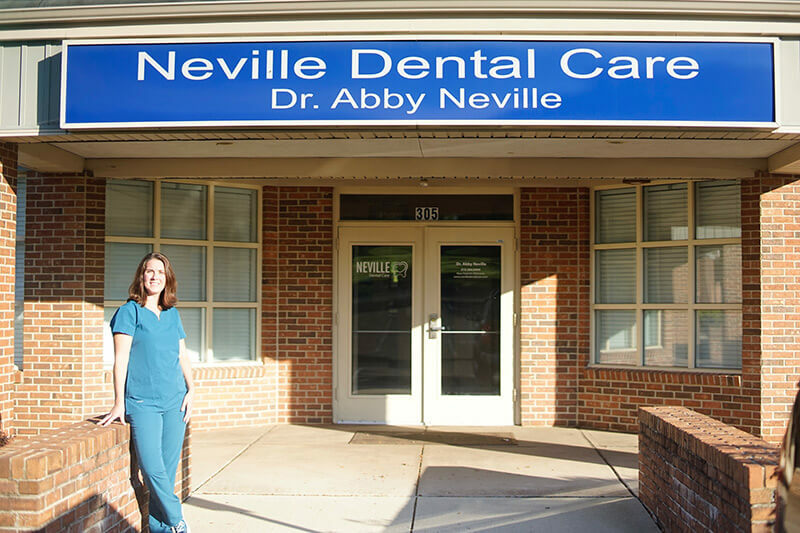 Dr. Abby Neville graduated from Virginia Polytechnic Institute and State University with a B.S. in Biology in 2000. She pursued her dental studies at Temple University School of Dentistry, graduating in 2004 with honors. Dr. Neville has procured the most state-of-the-art dental equipment for her office. You can even enjoy a soothing chair massage and watch TV while receiving gentle dental services. She is also dedicated to creating a green, paperless office and aims to use as many recyclable products as possible for her family dental care.